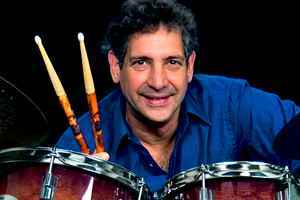 Born 18 April 1953, is an American jazz drummer who has performed as part of the Pat Metheny Group and Mahavishnu Orchestra along with numerous other jazz ensembles. Has also worked with Sting, David Byrne, Herbie Hancock and Chick Corea to name a few and has appeared on over 300 CDs. Currently works as assistant professor of jazz studies at the University of North Florida for several weeks each year. Sometimes credited as Dan Gottlieb & Daniel R Gottlieb.